This article was sent out on April 11, 2014, the week that the Heartbleed vulnerability was first reported. A very commonly used secure connection protocol has had a flaw for years that was recently discovered and made public. The flaw allows a miscreant to jump into the server using that protocol and capture about 25 pages of information. They can keep jumping in and grabbing lots of 25 page clumps. If your email and password was in one of those clumps, then they have your login credentials. 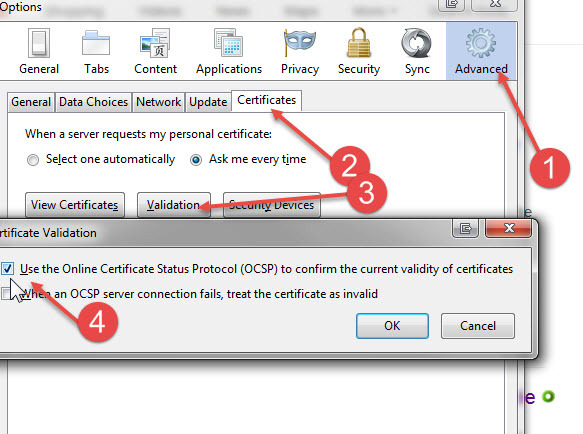 Also, if the certificate code that verifies that the host is in the clump, then they can impersonate the host server. On Monday the exploit was made public. Before that, major players like Google and Yahoo didn't even know about it. Normally, the flaws are revealed to the people who can fix them before being made public, so there is time to fix it. This time, the miscreants found out about it at the same time as the server hosts. Later on Monday, the code was posted so that any miscreant could search for servers with the vulnerability and exploit it before the legitimate players had time to patch it. Change your password for sites that indicate they were vulnerable, but are now patched: this means on your computers, tablets and phones! Use the lists below, the links to lists or the test sites links below. 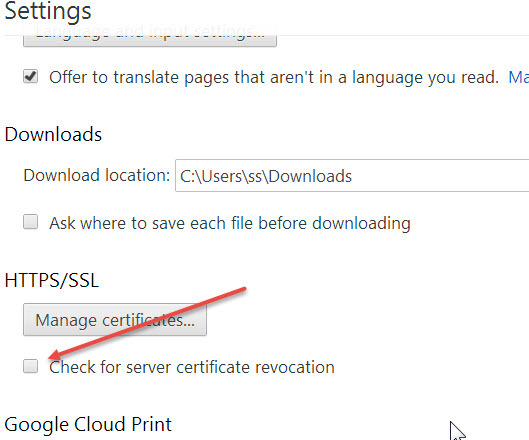 Make sure your browser checks for certificate revocation. Emails that seem to be from Google or Yahoo or Facebook asking you to change your password and providing a convenient link. DO NOT PRESS IT! Once again, Do not sign in from a link provided in an email. Programs offered to update, add to, or improve your security. "Just install this program and we'll protect you." Never install a program from an email or advertisement. Go looking for it or something like it independently. See what comes up from legitimate sources. See how users and experts respond to it. Call me and ask. Phone calls from fake Microsoft or Comcast representatives who will offer to help you. They will figure out other things I don't think of, so be super vigilant. Be paranoid. Be really really paranoid about these kinds of solicitations. The three lines on the upper right lead to Settings. At the bottom Click "Show advanced settings"